Made with sheets of multi-layered birch with an ash veneer there are no visible joints and a functional embossing on the top part. 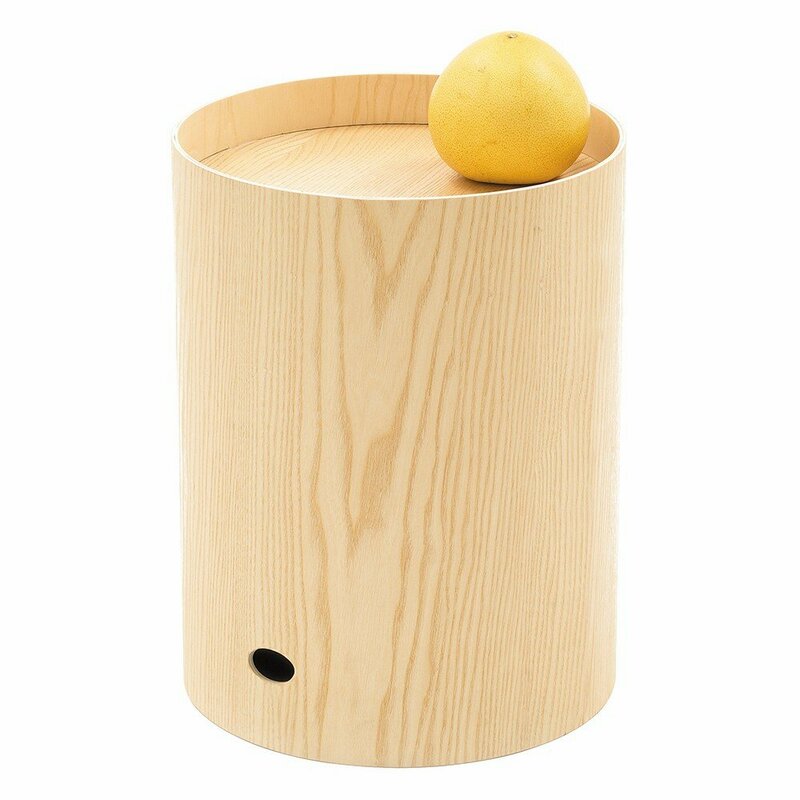 The two holes on the side create a grip through which it can be moved or turned over for its double use as a small table or container. In this last instance it can be completed with the copper or brass Roul? tray, which becomes a beautiful bright top.